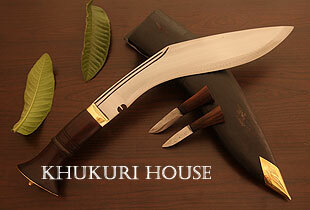 "Dai" which means "Bigger Brother" in Nepali so this blade is a Big Brother to the Bhojpure Khukuri blade. Just in case you are wondering what "Younger bro" is called. He is called "Bhai".